Lysosomes are membrane-surrounded organelles which are present in all animal cells. The importance of this organelle is underlined by an increasing number of human diseases, which are associated with an impaired function of the lysosomal compartment. This book summarizes the current state-of-the art knowledge about this unique organelle. 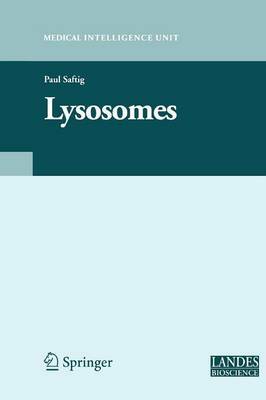 It addresses the biogenesis of this compartment, the transport of lysosomal proteins, the role of the lysosomal membrane in lysosomal stability and transport, the function of lysosomal proteases and hydrolases, lysosomal storage disorders, and new concepts on how to treat these diseases. In addition to these classical topics, new insights into lysosomal functions are covered by chapters dealing with specialized lysosomes involved in bone resorption and plasma membrane repair, the lysosomal transciptome, and proteome and the emerging role of lysosomes in special forms of autophagy. This book will provide readers with a comprehensive overview into how this fascinating organelle works and how research in the field is developing.